A full line of OEM compatible direct field-replacement CO2 laser optics that are shipped overnight for users in trophy and plaque engraving shops is being offered by Laser Research Optics of Providence, Rhode Island. Laser Research CO2 Laser Optics for 100 to 200 Watt lasers used by trophy and plaque engravers are optimized for 10.6 microns and come in 1.0” and 1.5” dia. sizes. Featuring focal lengths from 2.0” to 7.5”, in 0.5” incre–ments, these OEM compatible optics meet ISO-10110 specifications and are ideally suited for producing clean, sharp, detailed edges on light metals. In stock for 24 hour shipment, Laser Research CO2 Laser Optics include lenses with various focal lengths and silicon turning mirrors with better than 99.5% reflectance that are offered with single- or dual-band coatings. They are well suited for Kern®, Trotec®, Universal®, and Vytek® lasers. 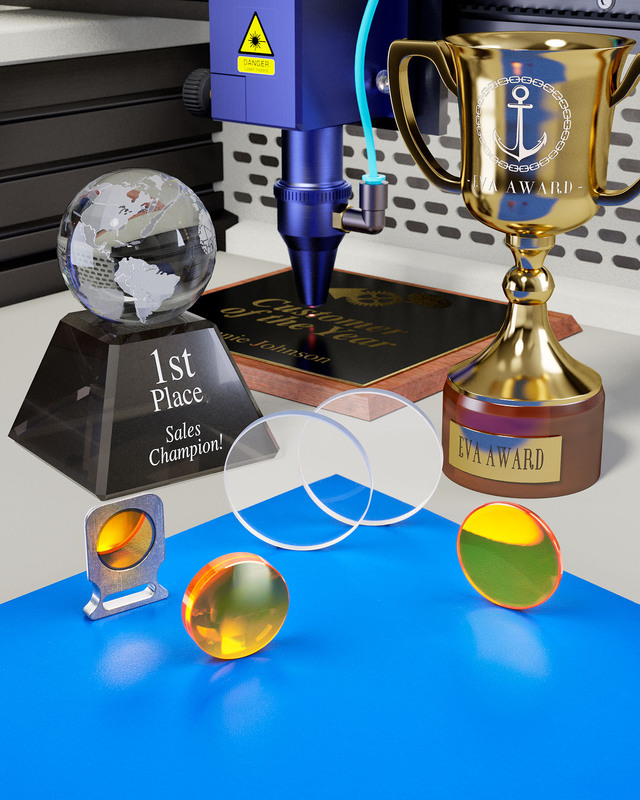 Laser Research CO2 Laser Optics for trophy and plaque engraving lasers are priced according to size and quantity; shipped overnight for direct field-replacement by engraving shops. Price quotations are available on request.